The collapse of the alliance between the BJP and the PDP in Jammu and Kashmir has not taken any of us by surprise. Some of us have been arguing that the ideological dissonance of the coalition was far too grave to risk in a situation as volatile as the one in the valley today. As governor’s rule looks inevitable, we are in for a long phase of unrest and turmoil ahead. For Kashmir watchers, there is an acute sense of déjà vu. We are standing on a precipice from where Kashmir could plunge into free fall, because we keep making the same mistakes again and again. If there is even an element of seriousness in rebooting the Kashmir policy, here are ten things we should be able to agree on. The last three years have witnessed a record resurgence in local militancy. We cannot afford to play partisan politics over Kashmir. 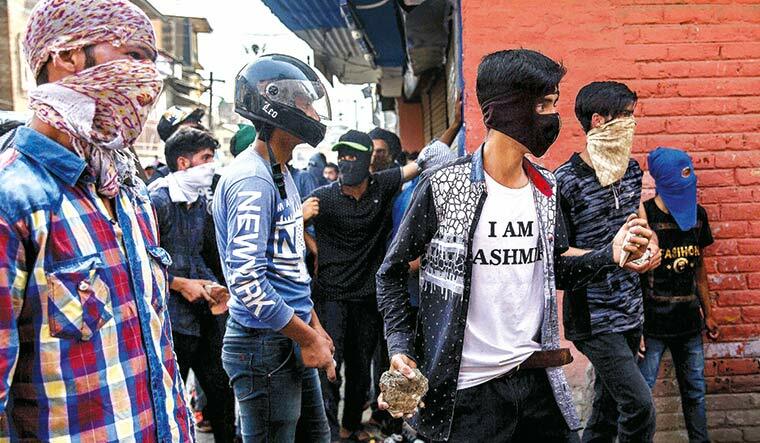 A national political consensus is needed to frame a Kashmir policy that is neither the subject of prime time bickering nor the focus of parliamentary one-upmanship. The coalition government was buried under the weight of its own contradictions. This is a warning to parties on the right and left of the spectrum to find a way to agree on next steps. In the past, all-party delegations have managed to show maturity and unison during moments of crisis. This is an unprecedented crisis; our politicians need to measure up. They should commit to leaving the Kashmir situation outside the purview of the 2019 election campaign. Denials about the gravity of the situation need to end. The 29-year-old insurgency is a consequence of many different factors. Pakistan’s patronage of terrorism is definitely a large dimension of the truth. But, there are many sins of omission and commission that have been our own over the decades. Our Kashmir policy cannot be robust if we lurch from crisis to crisis with long phases of complacency in between. Stop measuring normalcy by how many hotel rooms are booked in Gulmarg or how many tourists visit. These are cosmetic measures unrelated to the genesis of the situation or how it has evolved over the years. End the myth that education is an antidote to militancy. The last three years have witnessed a record resurgence in local militancy. Most of these men come from educated, economically comfortable homes. One was so bright at his studies that he was nicknamed ‘Newton’; another is the son of a government school headmaster; a third studied at an engineering college in Chandigarh, and so on. The mythology that enough laptops will displace stones needs to end. Quit branding people as nationalists/anti-nationalists based on your own whimsical, armchair patriotism. Our hatemongering hashtags have polarised the Kashmir debate to the extent that any reasonable conversation has become impossible. If you keep labelling individuals as treacherous just for having a view that deviates from the dominant narrative, you may be cheered on by virtual mobs; but, you are only adding to the toxicity that stops reasonable dialogue. Listen carefully to the local police force and serving Army commanders. You will discover that they are far less hawkish than your average television news anchor. They will tell you repeatedly that while they will successfully contain militancy, it is the failure of political imagination that has created dangerous vacuums. They will also have a better network of local contacts than most politicians. You don’t have to give them a veto; but certainly give them a clear voice in policy. Strengthen the moderates, so that ideological extremists on either side of the trenches do not divide regions and religions. Think of how ironic it is that while we are all mourning the assassination of journalist Shujaat Bukhari, while he was alive, he was attacked by both sides—either for not being separatist enough or for not being nationalist enough. There are only a handful of people left who are willing to concede that there are multiple shades of truth and not a singular truth. Those are the voices that need to be strengthened. If every Kashmiri voice is to be dismissed pejoratively as a traitor, who exactly will the New Delhi-appointed interlocutors speak with? Soon, there will be no one left to talk to. Don’t lose your empathy. If you feel nothing for the Kashmiri people but only want territorial rights over the land, you will only deepen the crisis. There is no ‘national integration’ possible without a genuine, friendly assimilation and engagement. Create a new set of political leaders from the new generation of Kashmiris. The future of the state cannot be defined only by two families where power is handed down from generation to generation. We need new names, new faces and self-made professionals. Real normalcy would mean a wider set of political options than the Abdullahs and the Muftis. Work on intra-Kashmir conversations between the three regions of the state as well as between pandits and Muslims. There can be no justice or truth or reconciliation in Kashmir till the issue of enforced exodus of pandits is also included in that framework. Find a new language. The old clichés—Kashmiriyat, alienation, autonomy, winning hearts and minds are worn out. We need a new idiom. The old formulas have all failed.